Our 2018 New Year’s Resolution - To Provide Active Senior Living! 2018 is underway, and while some New Year’s resolutions may have been changed, postponed, or abandoned, at Trinity Landing, our New Year’s resolution to provide area seniors with active living is still right on track! In fact, we recently opened our new Welcome Center, where you can come and talk with a friendly, no-pressure retirement counselor about what your future could look like at Wilmington’s newest active senior living, Trinity Landing. When Trinity Landing opens and you become a resident, you’ll be freed from hefty home maintenance, housework and chores, giving you the time and energy to spend on things that truly matter to you. Time saving services like dining, housekeeping, the on-site convenience store, and campus maintenance mean you can pick up an old hobby or start a new one, travel to places you’ve never been, or spend more time with loved ones. The possibilities are endless, especially when you live where others vacation! Trinity Landing will feature an on-site salon and spa for quality relaxation and pampering, a library complete with a media center, a wellness center with a personal trainer, and a full schedule of community events. There’s even more to do off campus in the wonderful town of Wilmington including shopping, dining, educational and cultural pleasures, historical attractions, water sports and beaches. Come home to your dream coastal residence at the end of a great day, whether you envision it to be in a modern apartment-style or villa-style home. You’ll have the chance to choose between one or two-bedroom apartment homes, some of which include dens. One of the best parts about being a resident at Trinity Landing is the security and peace of mind that comes with knowing you will priority access to excellent health care at Trinity Grove, just a few minutes away, if your needs are to ever change. This year, take advantage of our New Year’s resolution, and give us a call at 910-769-9600 to learn more about Trinity Landing. You’ll be on your way to walking beautifully landscaped outdoor paths, dining in the casually elegant restaurant and pub, getting creative in the art studio, exercising in the Wellness Center with state-of-the-art equipment, and so much more. Make a new resolution you can stick to – take steps towards living an active senior living lifestyle. 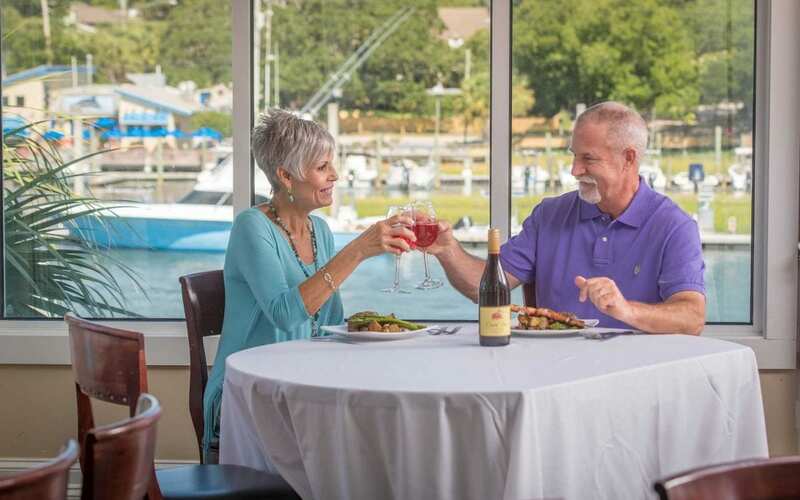 For more information on Trinity Landing, please give us a call today at 910-769-9600.